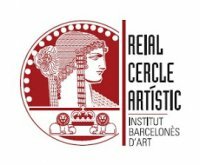 The Board of Directors of the Royal Art Association, a Barcelona institute of the arts, has decided to award me the title of “Honorary Member”. I am delighted to become a part of this emblematic institution of Barcelona. The Royal Art Association was founded in 1881 by a group of painters from Barcelona with a view to promoting the cultural life of the city. In 1916, King Alfonso XIII granted it the title Reial Cercle Artístic de Barcelona. Some of its notable members include: Antoni Caba, Caterina Albert, Ramon Casas, Evarist Arnús, Marià Andreu, Modest Urgell, Ricard Urgell, Joan Borrell Nicolau, Joaquim Mir, Hermen Anglada Camarasa, Francesc Costa, Isidre Nonell, Francesc Galí, Francesc Gimeno, Ricard Opisso, Francesc Labarta, Apel•les Mestres, to name but a few, as well as many of my modern contemporaries, to whom I am very grateful for appointing me as a member at the initiative of Jordi Rollán.